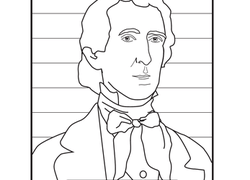 Connect the Dots: Draw Lincoln's Hat! 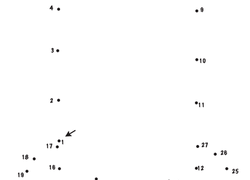 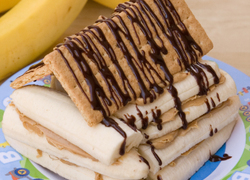 Ask your kindergartener to connect the dots on this paper, and he will make Abraham Lincoln's favorite accessory appear! 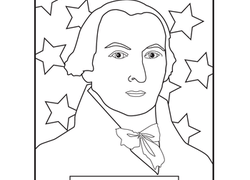 As your kindergartener colors this representation of third U.S. President Thomas Jefferson, he'll strengthen his creativity and fine motor skills. 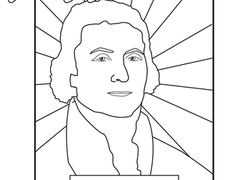 This patriotic coloring page features James Monroe, 5th President of the United States. 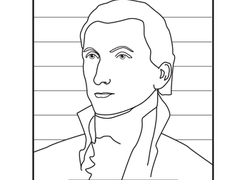 Add colour and note the year he was born and the year he died. 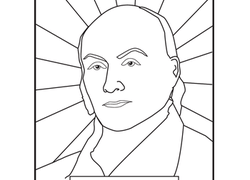 Learn about past Presidents of the United States this President's Day by coloring them! 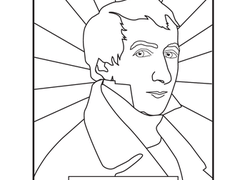 This coloring page features William Henry Harrison, 9th U.S. President. 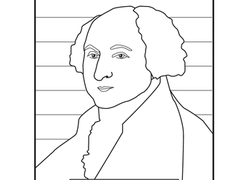 Learn about past Presidents of the United States this President's Day by coloring them. 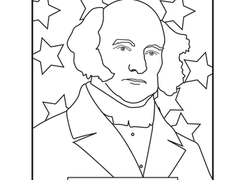 This coloring page features Martin Van Buren, 8th U.S. President.